If you're tuning in to the MTV Movie Awards this Sunday, April 12, you'll get a chance to see Fall Out Boy get the party rocking with songs from their latest album American Beauty/American Psycho. Yes, they're one of the headlining performers of the night, further solidifying their comeback as a punk-pop band. As you might remember, FOB went on a much too long hiatus from 2009 to 2013. Obviously, much has changed since then. They've released two new albums. Lead singer Patrick Stump lost all that weight. 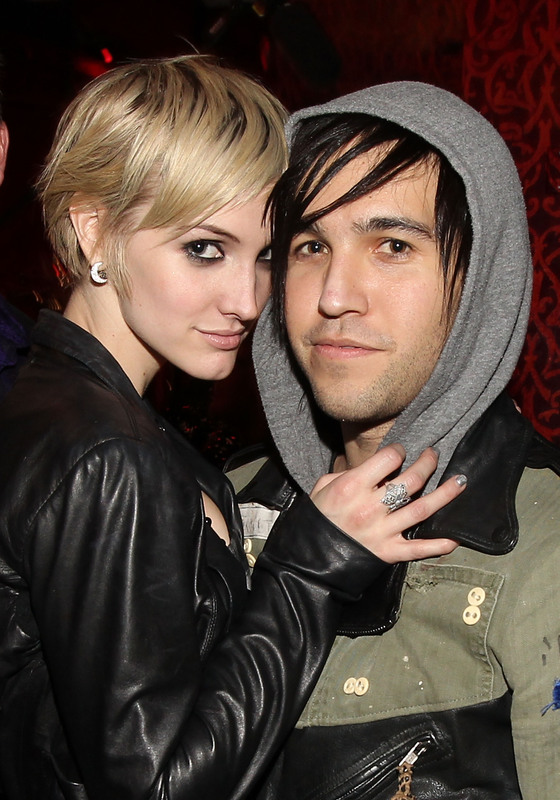 Oh, and bassist Pete Wentz and Ashlee Simpson are no longer married. Since Wentz will be tearing it up onstage at the award show, it might bring back memories of America's favorite emo couple and questions of why they split in the first place. Wentz and Simpson were married for two and a half years and gave birth to one son, Bronx, before they called it quits in 2011. Fans did not get much information about the divorce at the time, other than the fact that "irreconcilable differences" played a role. But after some time had passed, Wentz began to open up more and more about the breakup and some of the reasons why it happened. Wentz said in a recent interview with Howard Stern that the split was partly due to the downward spiral he took after Fall Out Boy went on hiatus and partly due to the couple's young age when they got married. I think there's an important thing where you know how to fight, because you can fight with somebody and it's not the end of everything. But if you don't know how to have those arguments, then they become nuclear. And we were doing this all in the public eye, which doesn't help. Simpson, for her part, has not offered much in the way of comments about the split. It seems like she largely put it behind her after filing for divorce. Though it was probably a difficult decision for both of them to make, it seems like it has worked out for the best. Wentz is obviously in a better place now, and not just professionally — it looks like he has moved on emotionally as well. Wentz has been dating model Meagan Camper for nearly four years, and the pair welcomed their first child together in 2014. He has also hinted about making a trip down the aisle with her! Simpson, for her part, is already remarried to Evan Ross (Diana Ross' son, by the way), and they are currently expecting their first child. As it turns out, some things are just not meant to be. In any case, it's great that both of them are happy now — even though it's not with each other.